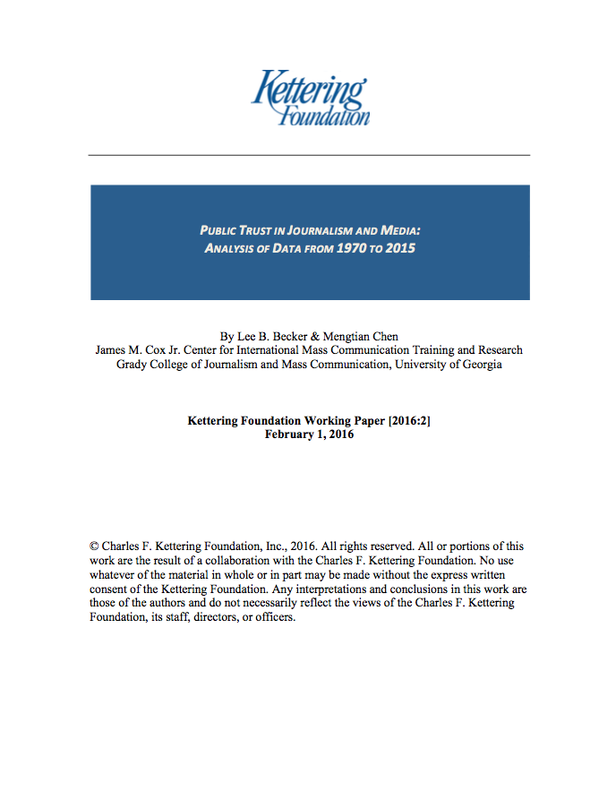 Classic theories of how journalism and democracy interact focus on how information delivered to the public has an impact on public opinion formation, which in turn affects governing institutions. 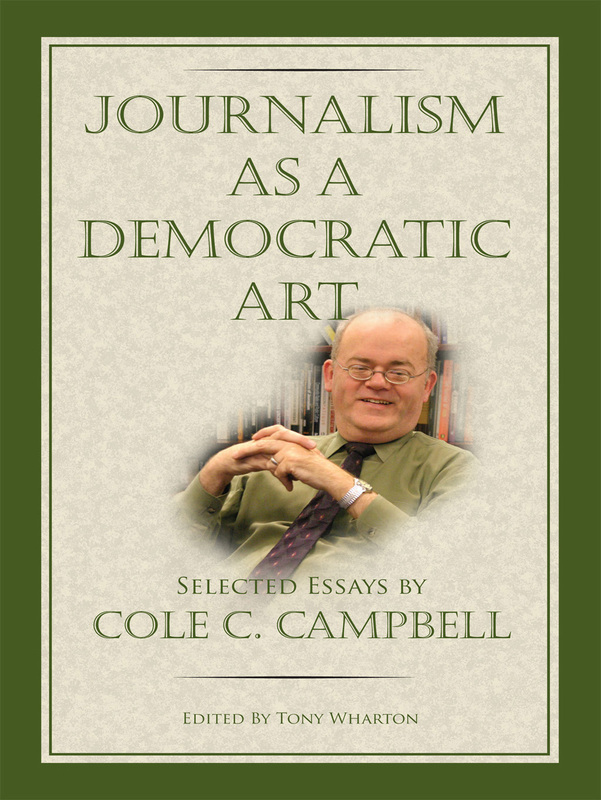 This classic formulation focuses on journalism’s spotlight and watchdog roles and sees the interaction of journalism and democracy through the lens of problems in democracy. 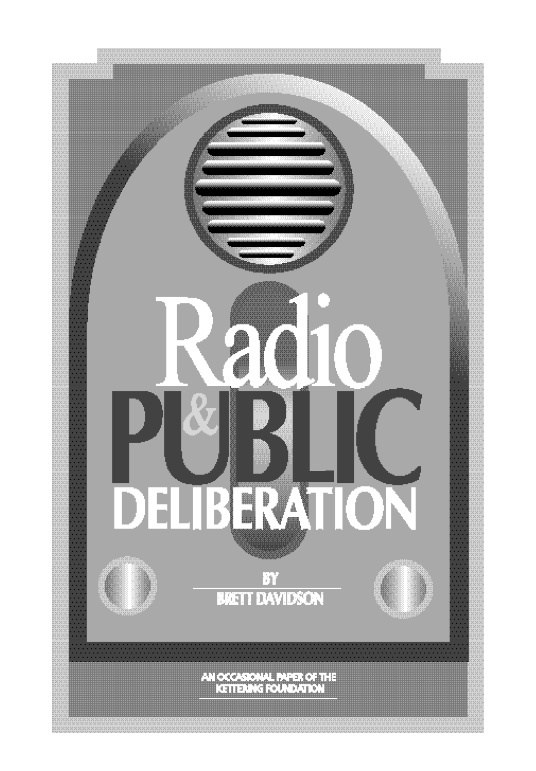 Could journalism as an institution of democratic society focus less on the problems in democracy and pay more attention to problems of democracy? 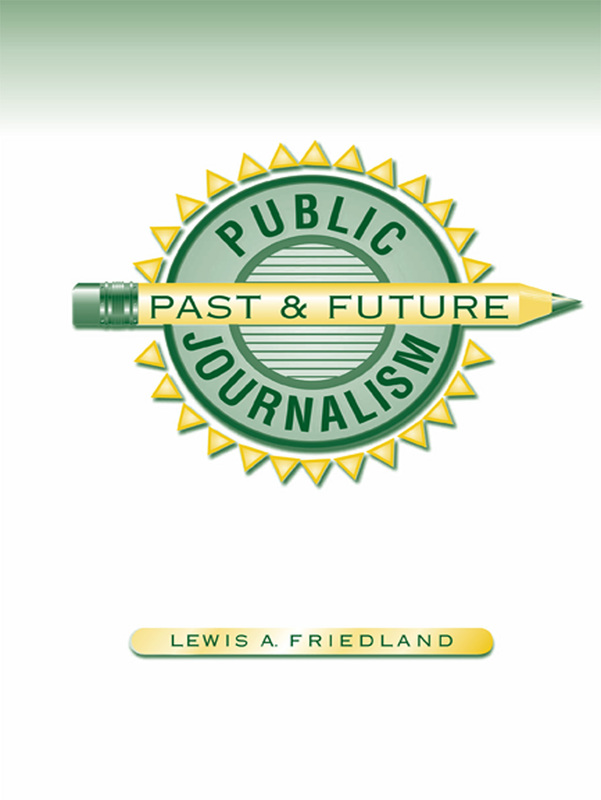 Can journalism educators contribute to such a reset of journalism with curricular innovations that create student mind-sets and skill sets oriented to addressing the problems of democracy? 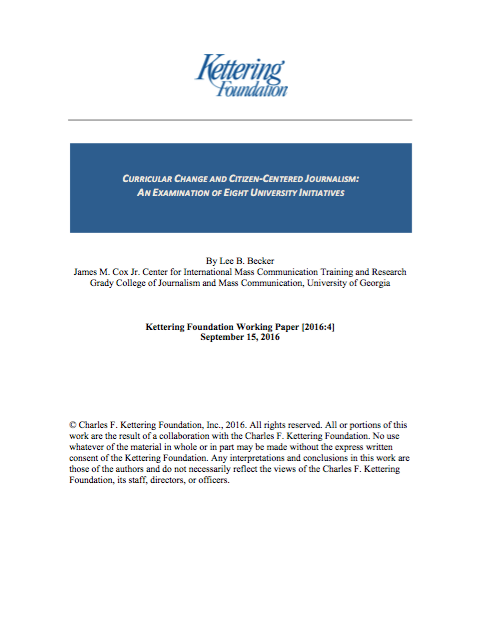 This Kettering Foundation Working Paper by Jack Rosenberry, a professor of journalism at St. John Fisher College, details an ongoing Kettering Foundation learning exchange with journalism educators on innovations in journalism curriculum to prepare students—the journalists of tomorrow—to practice journalism in ways that are more supportive of democracy. 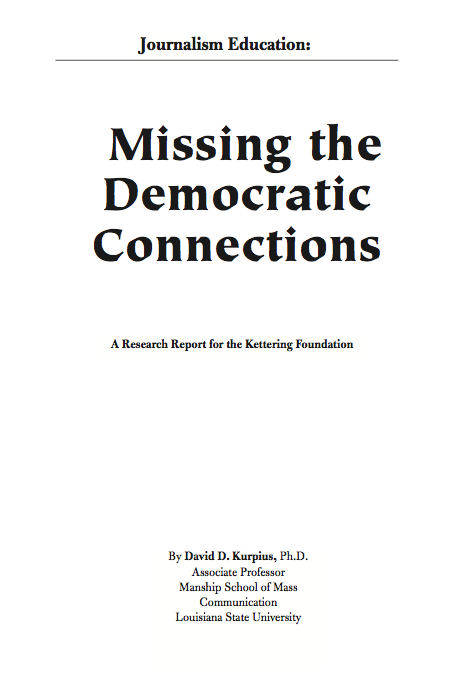 As with all of Kettering’s work, this project considers democracy from a particular viewpoint, focused on the work of citizens to address concerns and solve problems through collaborative efforts. 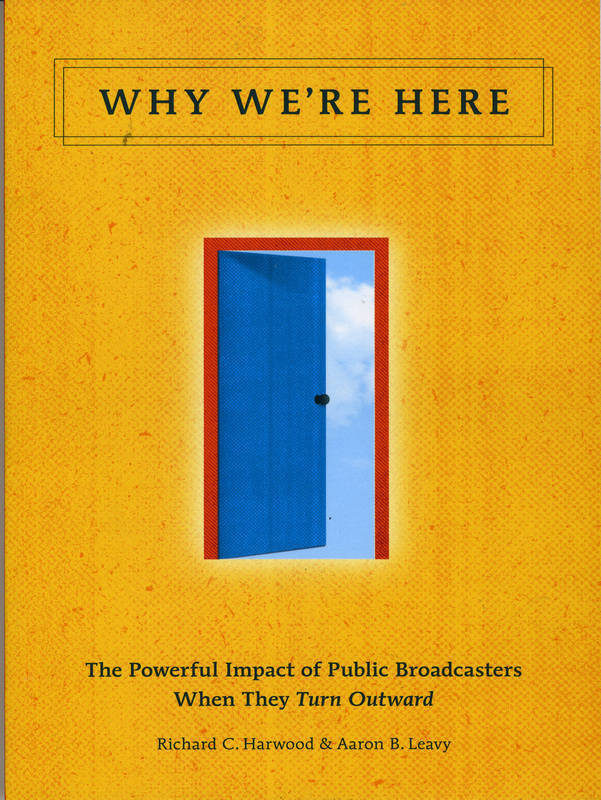 Participants are seeking new approaches to journalism education that might produce journalists who have a broad concept of citizens as participants in democratic public life and a deeper commitment to serving the work that citizens do in democracy. More than 30 members of the learning exchange have offered their thoughts about features of a journalistic system that could overcome the limitations of the traditional models for how journalism and democracy interact, characteristics that tomorrow’s journalists should have in order to work effectively within such a system, and curriculum that would help create those characteristics in those students. 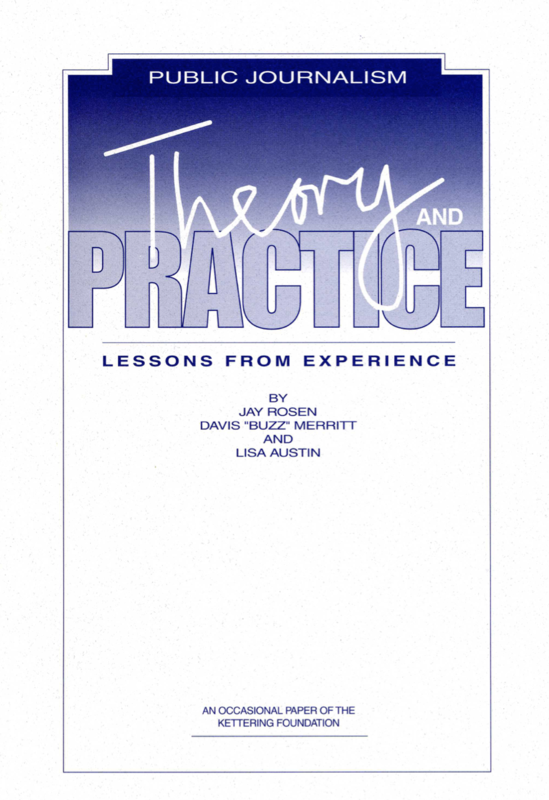 Their ideas were used to derive a set of nearly 50 learning objectives across four broad categories that could be used by journalism programs or individual educators to develop anything from a single lesson to a semester-long course to a complete program redesign. 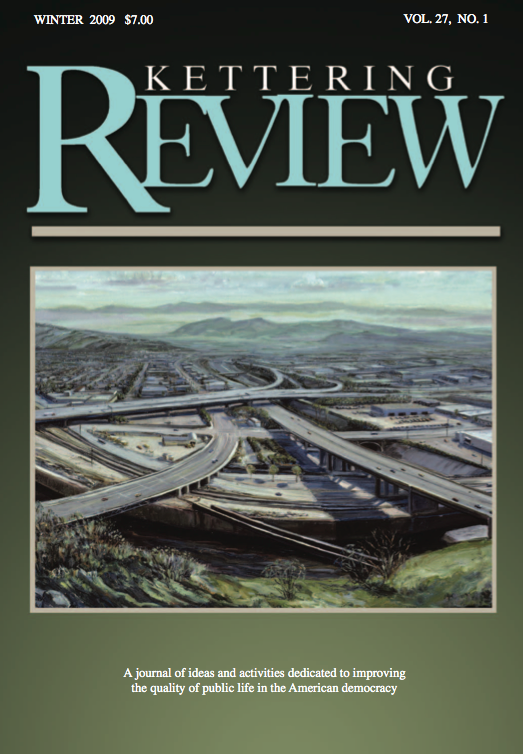 These curricular reforms could then articulate a new approach to journalism education oriented toward a journalism that helps communities and groups of citizens overcome the problems of democracy.